The impressive work of artist James Gagnon can not be overstated. He creates jewelry, he is a sculptor, he is a pewter smith and his work has literally been commissioned by royalty and dignitaries of stage. Gagnon’s studio is in Whiting Mills and the windows looking into his studio provide a window to the world of an extraordinary craftsman. 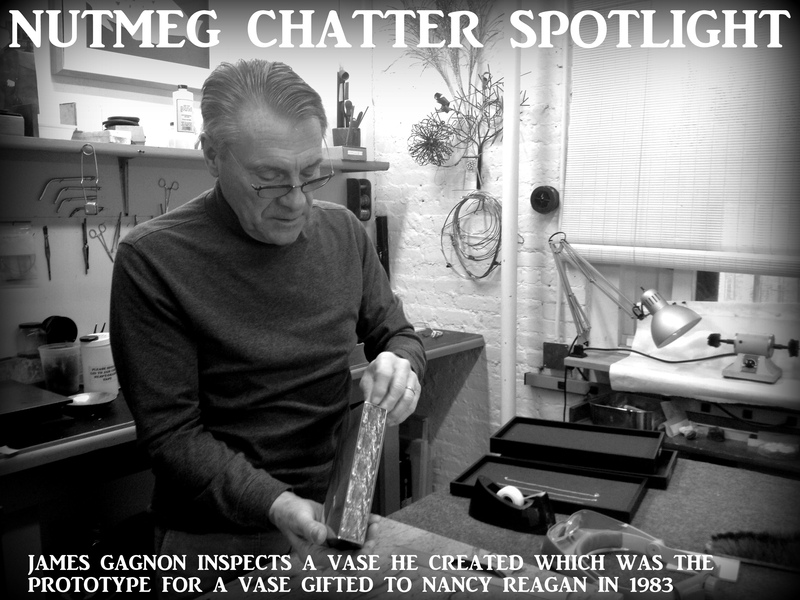 The vase he is holding in the photo was the prototype commissioned by the state of Connecticut in 1983 when a Connecticut teacher, LeRoy E. Hay, Ph.D from Manchester was selected as the National Teacher of the Year and the state requested a gift to be presented to the first lady, Nancy Reagan. Gagnon’s work was selected and presented during the award ceremony.